Primarily known these days for the production of high-quality Fraser fir Christmas trees, Ashe County, NC, has a long and rich agricultural history, including the establishment of commercial apple operations in the 19th and 20th Centuries. Our cold, snowy winters and mild summer days provide the ideal climatic conditions for raising many different varieties of apple. Here at Big Horse Creek Farm we are dedicated to the collection and preservation of American heritage apples and take an enormous amount of pleasure in sharing these American treasures with others. We personally invite you to visit with us during apple season at the Ashe County Farmers’ Market in beautiful downtown West Jefferson. The Farmers’ Market is open from mid-April through the end of October and is THE happening place to be every Saturday from 8 a.m. to 1 p.m. Come on by and enjoy the friendship and vibrancy of our Market. We live in a very remote area of Ashe County, not far from historic downtown Lansing. Lansing once was an important hub of the famous Virginia Creeper Railroad which ran from Damascus, Virginia to Todd, North Carolina. The original railroad bed now serves as an immensely popular biking and hiking route known as the Virginia Creeper Trail. Lansing is also home of the Ola Belle Reed Festival held every August to celebrate and honor old-timey mountain music. There is indeed a lot to see and enjoy in Ashe County! If you would like to visit us here at the farm during apple season please contact us by email so we can set aside the time from our busy schedule to show you around. Thanks for your interest! I would like to purchase some of your apples. 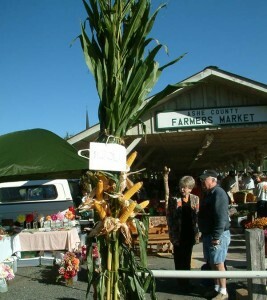 Will you be at the West Jefferson Farmer’s Market on Saturday, Sept. 21? Are your apples in yet, or do I need to wait a few more weeks? I would really appreciate your answers to these questions. Thank you for all your help! Hi, my name is patricia phifer. Wanted to know when you will be picking apples and also intrested in purchasing a couple of trees. Also what kind of apples will be ready in September 2017. Thank you.